Kyle Vickerman recalls talking with his boss at Ziegler CAT construction about how he might someday advance in the company. The response was immediate — in a good way. His manager pointed him to the heavy construction equipment technology program at Dakota County Technical College. The company offered to reimburse school costs and adjust his schedule so he could still clock 40 hours a week. "I've always wanted to work on heavy equipment or be on the construction side of things," Vickerman said on a break in training during a recent day at the school. It might be hard to tell who's more pleased with the situation — Vickerman or his employer. With the state's jobless rate near historic lows and a labor market boasting more job openings than people available to fill them, Minnesota firms are struggling to hire qualified mechanics, technicians and other tradespeople. They're leaning increasingly on Minnesota's two-year schools to deliver those well-trained workers. At Dakota County Tech, they can't train students fast enough. "I've been calling it a little bit of a lifeline," said Ziegler CAT operations Manager Jim Bjorkland. The company helped create an internship program with Dakota County Tech's heavy construction equipment students, who often become full time employees after they graduate. Bjorkland said they hired 14 students from the program last year. It's getting harder and harder to find skilled employees that want to do this type of work," he added. "Partnering with these programs to help develop those potential employees has been a huge benefit to us." Those partnerships have grown in the last few years — the number of internships from partners in Heavy Duty Truck Technology program grew from 20 two years ago to 30 this year. 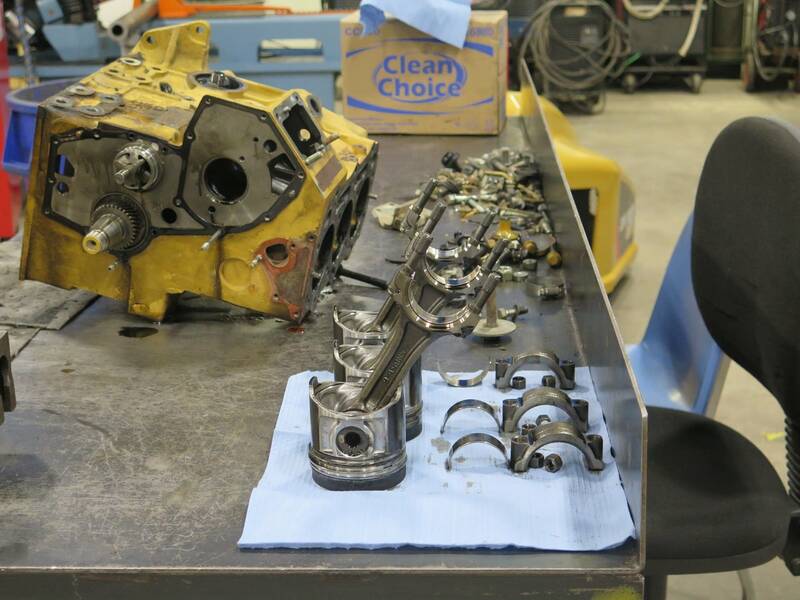 In the auto mechanic program, internships went from 15 to 24 in the last four years. And in civil engineering, they've gone from 15 to 22 in three years. Companies aren't just paying for training. They are increasingly paying more for trained workers in a tightening market. The median wage offer for a construction trades job in Minnesota last spring was $17.63 per hour, up 24 percent from $14.19 offered in the same period in 2014, state data show. Starting salaries for a technician at Ziegler CAT construction average more than $50,000 a year. Contractors are "paying more for their people. They are putting that pricing in their bids for work," said Tim Worke, CEO of Associated General Contractors of Minnesota, a trade group for contractors in the commercial building and highway construction sectors. "I think you're generally going to see that cost for work starting to creep up marginally or slightly to reflect that cost that's being passed on." It's not just the construction business. Dakota County Tech is seeing students in its automotive technology program getting hired before they finish their classwork. "When I first started somebody would be looking to hire our students more as they were ready to graduate," said Jeff Copeland, whose taught automotive technology at the school the past 15 years. "It's to the point now," he added, "where if somebody calls and wants to hire a student of ours, they can't hire that fourth semester student. In many cases they can't hire a third or even a second. We're referring them that they have to hire a first semester student." But the demands of the marketplace have also put schools in a tough position: because it's more difficult to find instructors to teach, there might be more money to work in the field they are teaching. 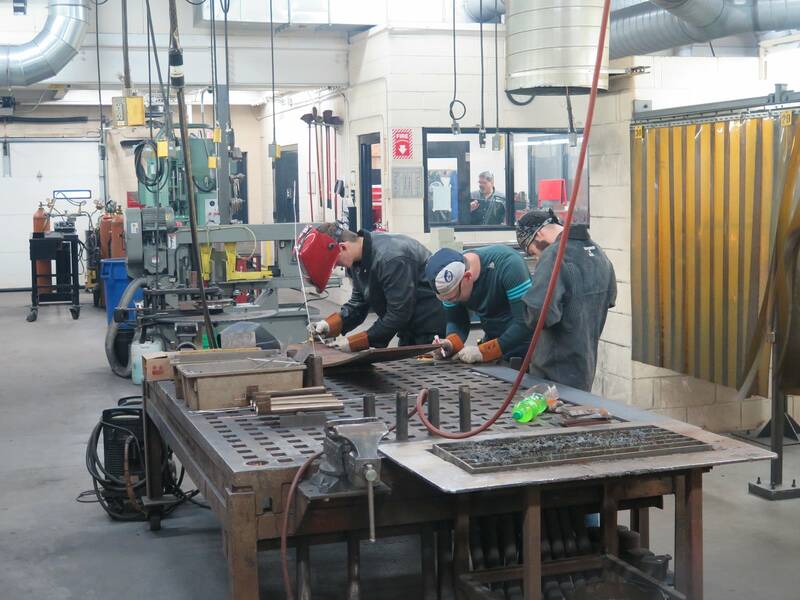 In fact, there are waiting lists for students to get into the school's heavy construction equipment, welding and electrical construction programs. 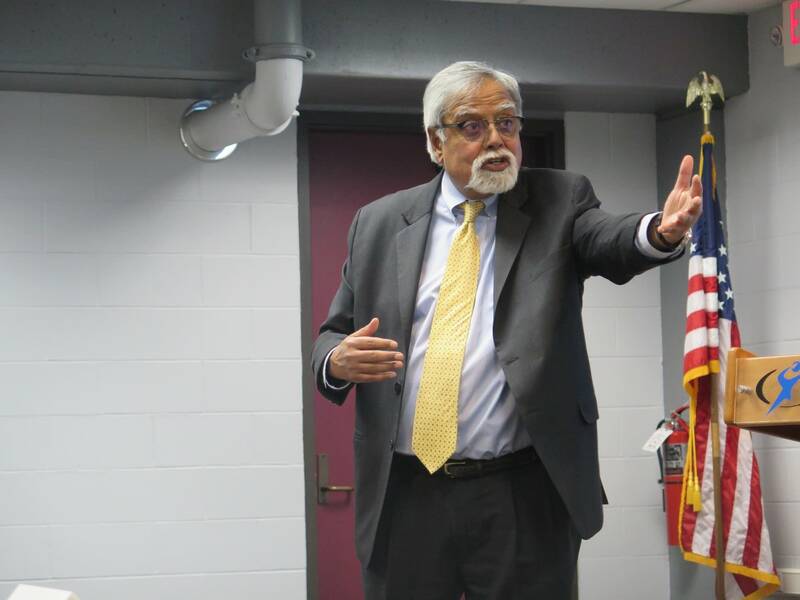 The Minnesota State Colleges and Universities system, which includes Dakota County Tech, is putting out close to 38,000 graduates a year, "and it's very clear to us that we need to scale up our operations," said Devinder Malhotra, the system's chancellor. The state's 30 two-year colleges will be key to addressing the tight skilled labor market in the state, he said, adding that they will need to be affordable for students. It's an argument he'll use this spring when he pitches the system's funding request to state lawmakers. It may carry more weight at the Capitol this year, given the demands of employers for skilled workers. "At one end, we have to make education very affordable. At the other end, we have to make education exceptional, state of the art, so that they actually are ready for the workplace," he said. "We have to continue to talk and build on these partnerships, so that we understand what are the emerging needs."